Linda L. Frame, 75, a longtime resident of Niles, Ohio, passed away peacefully in her home on Friday, the 15th of March, 2019. She was born on September 16, 1943, in Charleston, West Virginia, the daughter of Denver Ashworth and Anna Ward. Linda retired as an auto inspector at General Motors in Lordstown, after 30 years of service. Linda always lived life to the fullest. She loved spending time with her family and friends. She also loved to travel with her sisters to different locations. Linda is survived by her husband, Marvin J. Frame, whom she married on October 14, 1988; a daughter, Kelli Phelps; stepsons, Marvin J. Frame Jr., Bryan Frame; a stepdaughter, Grindl Frame; grandchildren, Ross (Angela) Tolone, Ryan M. Tolone, Nicole Frame, Brenda Frame, Kiersten Frame; great grandchildren, Dominick and Anthony Tolone, Kelton Frame; brothers, Denver (Sonny) Ashworth, Robert Ashworth; sisters, Delores Davis, Norma McCarthy and Donna Ashworth; and many nieces and nephews. She was preceded in death by her brother, James Ashworth and a sister, Markeita Ashworth. Funeral services will be held on Wednesday, March 20, 2019, at 7 p.m., at the Holloway-Williams Funeral Home & Cremation Service, 611 Robbins Ave., Niles, Ohio. 330-652-2422. Calling hours will be from 5 p.m. until time of service. The family request that material contributions be made to the American Cancer Society. 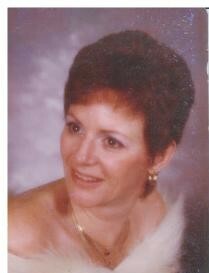 Visit www.hollowaywilliamsfuneralhome.com to view this obituary and send condolences to the Frame family.